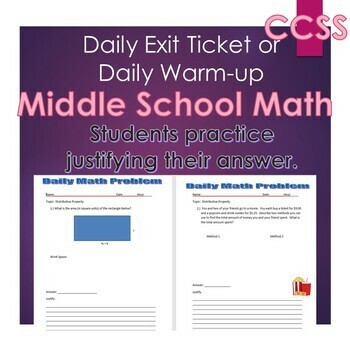 This resource is great for an exit slip or warm-up. 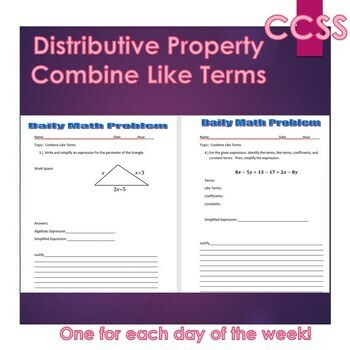 There is a week's worth of examples to use with students. 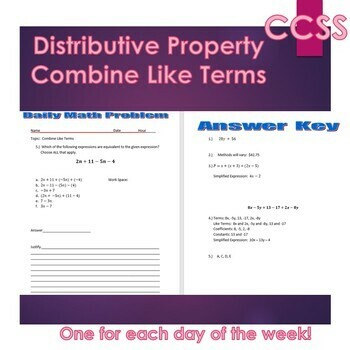 The topics included in this resource are Distributive Property, Simplifying Expressions and Combine Like Terms This resource would also be great to use for a constructed response. This resource was designed to encourage my students to work harder at answering MSTEP and NWEA style questions and to justify their answers.